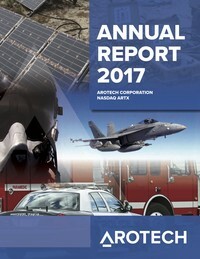 ANN ARBOR, Mich. , June 12, 2018 (GLOBE NEWSWIRE) -- FAAC Incorporated, a subsidiary of Arotech Corporation’s (NasdaqGM:ARTX) Training and Simulation Division, announced that it has received a competitive award to modernize the U.S. Marine Corps’ Combat Convoy Simulators (CCS). The contract from Marine Corps Systems Command Program Manager Training Systems is valued at up to $28.9M with a maximum contract duration of 57 months. The initial award funding is $17.7M with up to an additional $11.2M in contract options. The Combat Convoy Simulators provide an immersive training environment for convoy operations. CCS provides training for vehicle crew in both vehicle and small arms weapon utilization. The system is also utilized to train command and control procedures and crew response to improvised explosive device attacks, ambush attacks, evolving enemy tactics, and countermeasures. Under the base award contract, FAAC will modernize the hardware and software of the seven in-service USMC CCSs located at five sites. Contract options include the installation efforts, Contractor Logistical Support, upgrades for two U.S. Navy CCS systems, and travel and other direct costs.